Include more fiber in your diet. The fiber in whole grains, legumes and fruit and vegetables control cholesterol and blood sugar, feed friendly bacteria and keep our colons healthy. 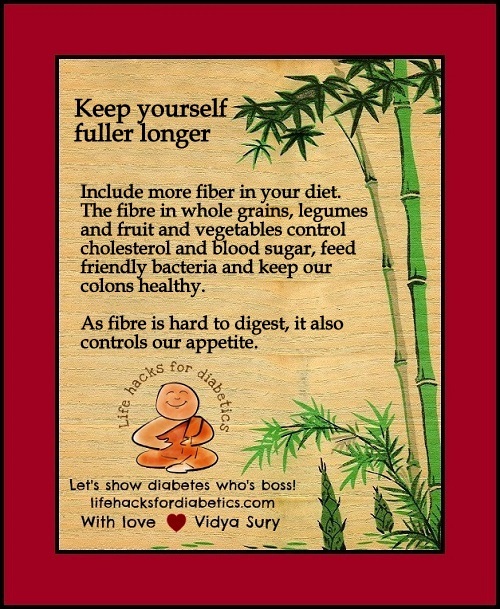 As fiber is hard to digest, it also controls our appetite. Luckily, I love fibre foods 🙂 Have a lovely day.